Can’t get enough of "Simian Saturday" over at the Green Skeleton Gaming Guild? Or perhaps your gearing up for a game of Terra Primate (somebody should be), or a some other post-apocalyptic game where now beasts rule? Well I’ve got some nonfiction for you. 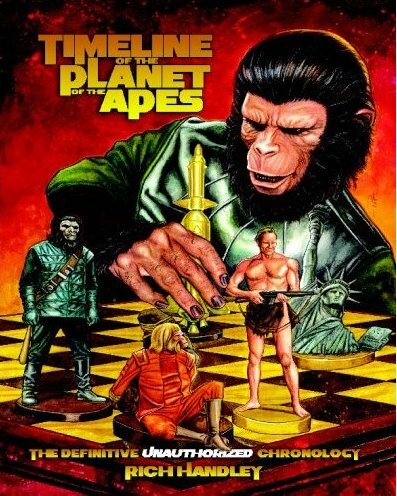 Hasslein Books (named, presumably for Dr. Otto Hasslein, originator of the Hasslein Curve) has produced two books of interest to the Planet of the Apes fan. 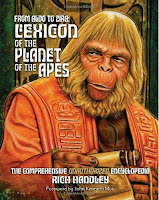 The first is From Aldo to Zira: Lexicon of the Planet of the Apes which is an encyclopedia of everything in the POTA universe--and I do mean everything. Like there’s Apeslayer--which is to say the Marvel Comics UK version of Killraven where Wells' Martians get replaced by simian space invaders (but they’ve still got tripods). That’s only one obscurity to be fond in this near phonebook-sized tome. The same author, Rich Handley, brings us the Timeline of the Planet of the Apes. This weaves (or perhaps stuffs might be a better word) the original film series, all the comic books, various novels, and even Burton’s 2001 re-imagining into a coherent--if not seamless--chronology. In addition to all this history there’s a cover gallery and index of resources. While there have been some good critical works on POTA and its cultural impact, or on the making of the films, these are the only books chonricling the universe itself out there. The author takes a more inclusive view of other media than I might, but that certainly in no way diminishes the entertainment or game fodder value of the works. Thanks, Needles. 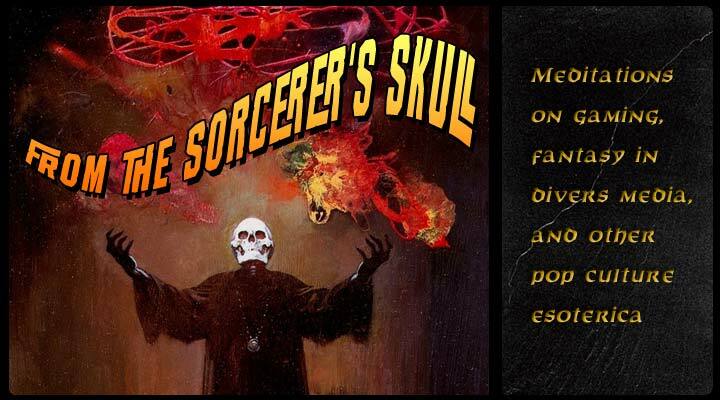 if you dig POTA these are books you probably want to check out. Incredible resources. But at what cost to the compiler's sanity? Thanks for the shout out, and these are some awesome resources! Can I post a link to your blog this upcoming Simian Saturday? 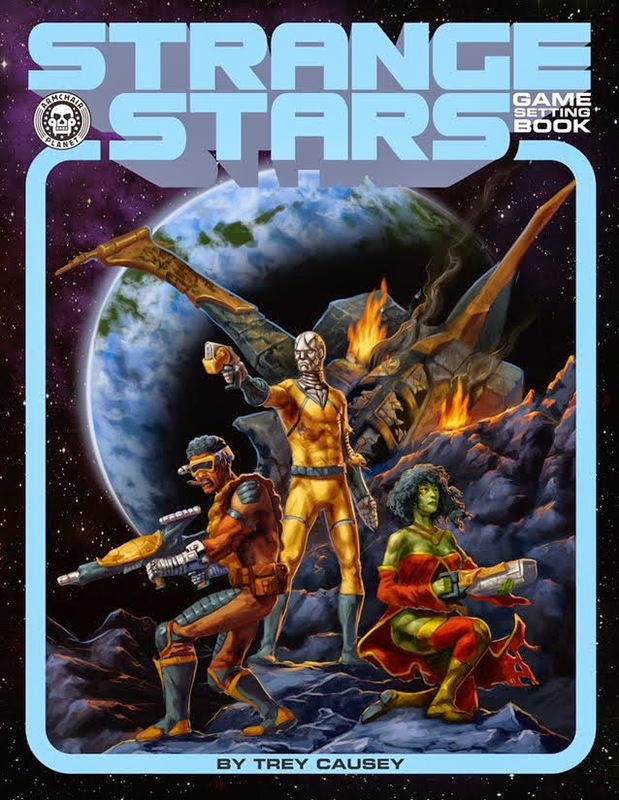 Warlord Wednesday: Back in the U.S.S.R.
Warlord Wednesday: By Ice and Fire -- Issue 50!